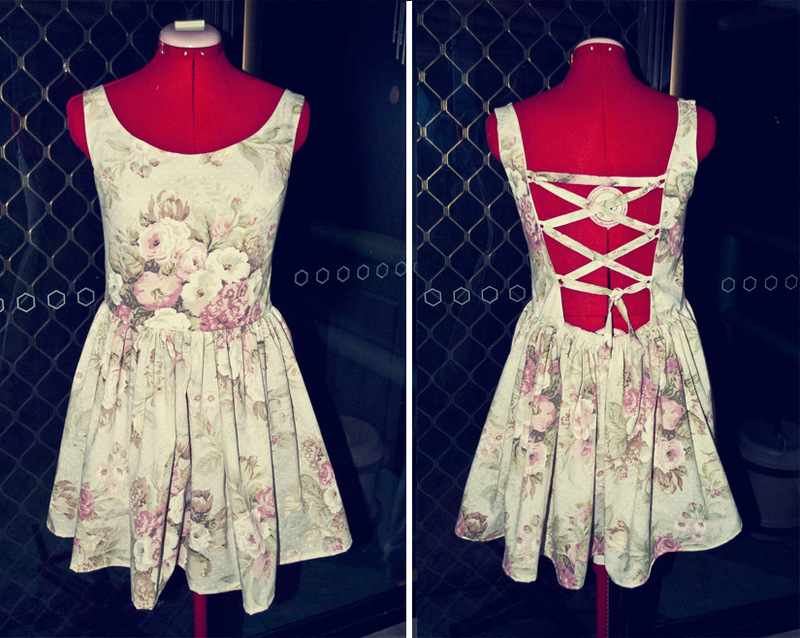 Here is the promised photo of the dress I made today! 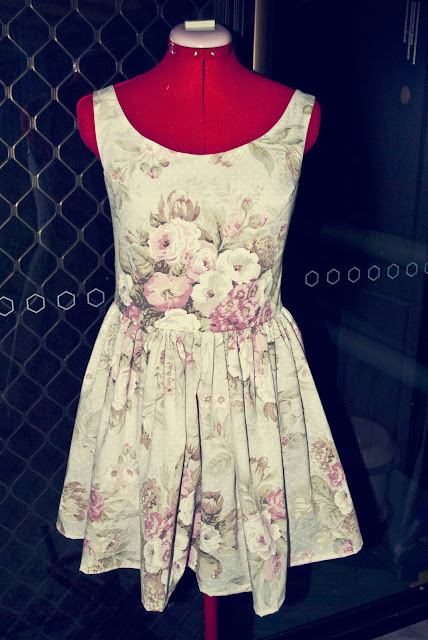 It is made from vintage material. The elastic back makes the size variable, but will most likely fit an 8/10/12. 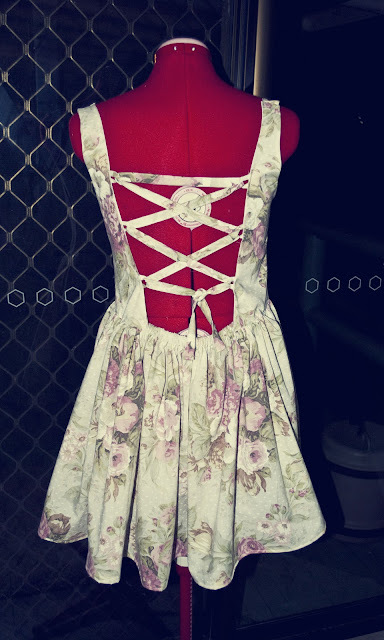 Laces up corset style at the back to create a tighter fit if need be. Hope you like it! I call it "Rose Bouquet Corset Dress"